What a great gift idea for the Man Cave or for the kids headed off to the dorms! 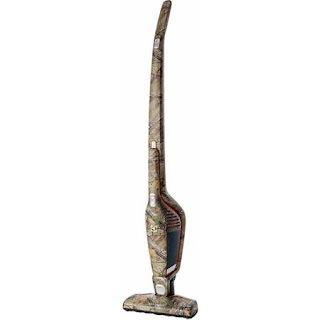 Check out this Limited Edition Realtree Xtra Camo, Cordless 2-in-1 Stick and Handheld Vacuum for ONLY $49 Shipped (Retail $149)! The Ergorapido two-in-one cordless stick offers two vacuums in one stylish design for cleaning on and above your bare floors. The variable speed and NiMH battery give you an extended run time to clean all the bare floors in your home. A 180-degree swivel head helps you twist and turn around furniture with ease. Plus the lightweight, bagless design makes it easy for you to get around, get up and down stairs and carry from room to room. The crevice tool and dusting brush store conveniently in the handle so you can clean crevices, stairs and flat surfaces in one easy step.